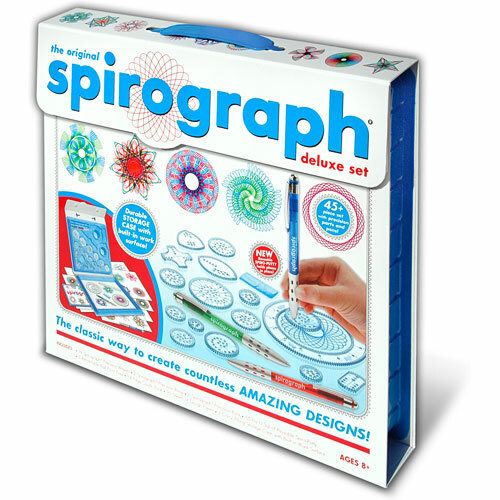 The kit features a high quality, durable carrying case with snap-in storage and a built-in drawing surface. 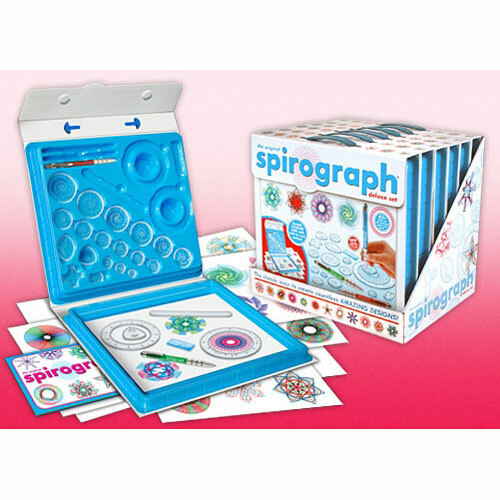 The precision engineered Spirograph gears work with the 3 retractable ballpoint pens included in the set as well as with most standard pens, markers and pencils. 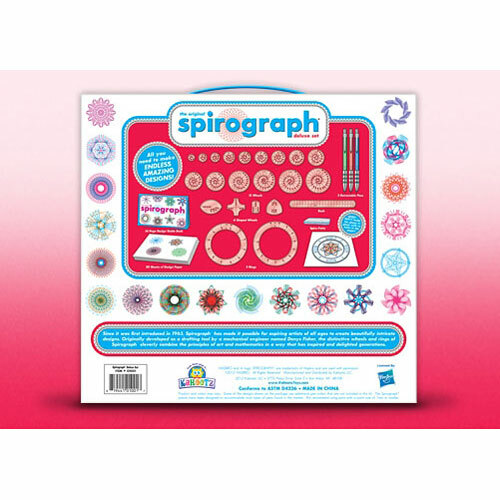 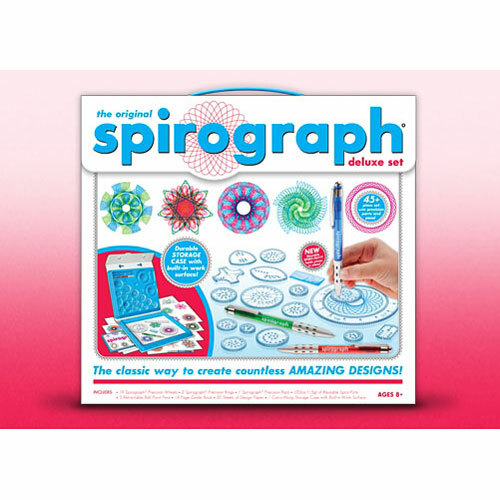 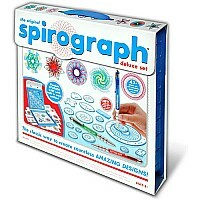 The new Spiro-Putty holds the Spirograph pieces securely on the paper so that you can create intricately beautiful designs with no holes in the paper! 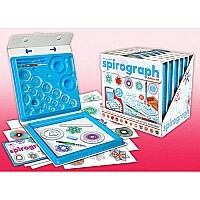 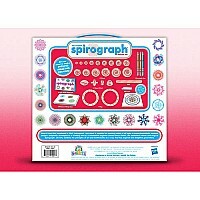 The set also comes with 20 sheets of design paper and a full color design guide, which explains the fundamentals of drawing with Spirograph, as well as step-by-step instructions for creating your own designs! 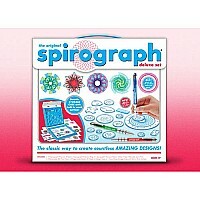 Measures approximately: 12.00 x 13.00 x 2.00 inches..